DIY Candles, Neosporin, Lip Balm, & Sunscreen with Beeswax - Better Ingredients for a Better Life! The Buzz on Beeswax isn’t new but it is still tried and true. There are so many reasons to love Beeswax and great ways to use it. The best reason is that it's natural and chemical free. Beeswax is made by honey bees to build the honeycombs that support their hive. Beeswax has been used for centuries and is known to be great for skin care because of it’s anti-inflammatory & antibacterial benefits. Here are 5 ways (out of many) Beeswax helps humans in everyday life. 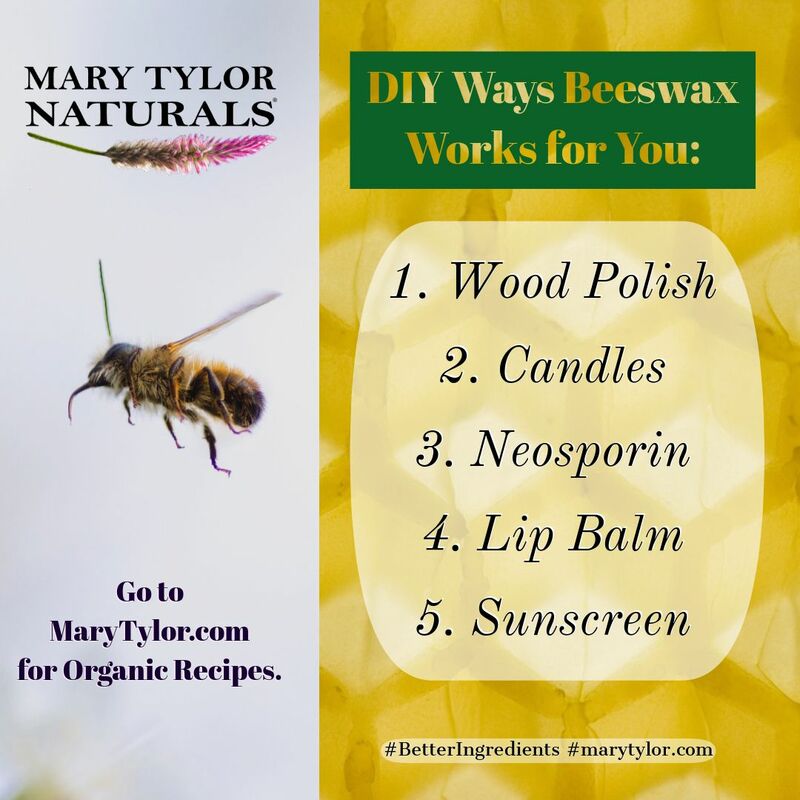 There are so many ways to have natural, chemical free, beeswax work for you! Please "bee" good to bees, they add so much to our lives. For more recipes check out https://marytylor.com/recipes.